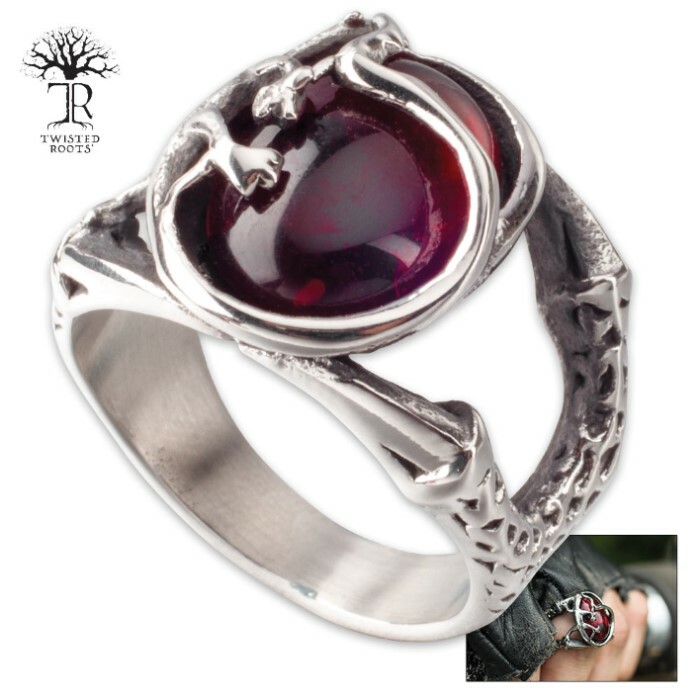 Red Roots - Men's Stainless Steel Ring with Red Stone Accent | BUDK.com - Knives & Swords At The Lowest Prices! 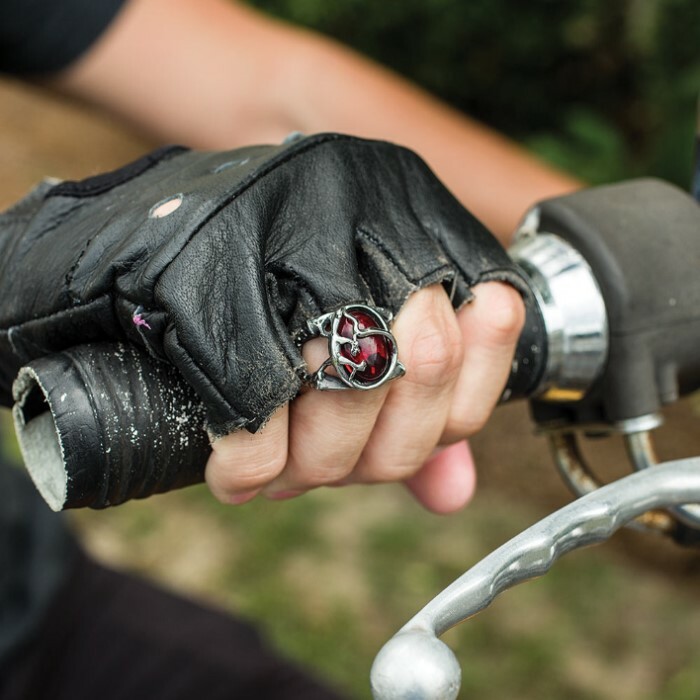 With its distinctive design, tough stainless steel construction and smart red stone accent, this chic "Red Roots" ring is perfect for any man for practically any occasion - a ride on a motorcycle, a night on the town or simply casual everyday wear. The attention to detail is truly breathtaking - brilliant, glimmering flashes of crimson, scarlet and burgundy radiate from the flawlessly shaped stone centerpiece. The ring's stainless steel construction boasts a sheen, corrosion resistance and durability that simply can't be matched by more traditional ring materials. Precious metals like silver and gold tarnish and fade, and even advanced modern ceramics are prone to chipping. 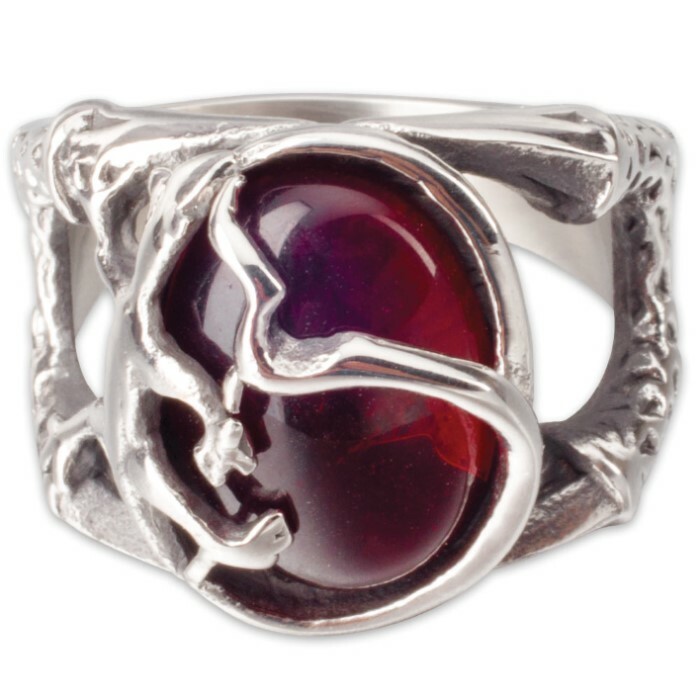 But the stainless steel in the Red Roots Ring is undeniably forged for a lifetime of vigorous wear. Available in sizes 9-12, we’ve got the right fit for any man. This fine piece makes a fantastic, memorable gift, and you won’t find better prices on high quality jewelry like this anywhere else!